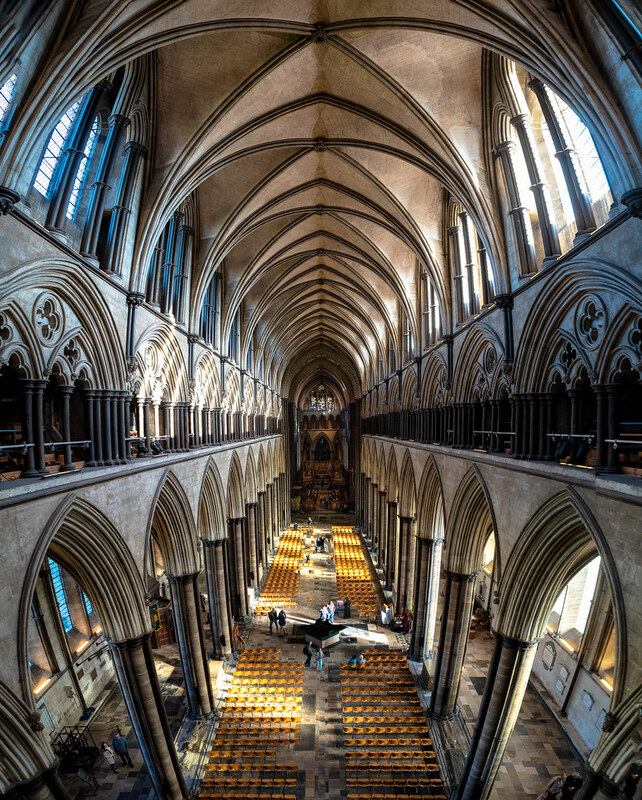 I recently went on a tour of the [allegedly] internationally famous Salisbury Cathedral Spire. As any Russian can tell you the spire is 123m tall, making it the tallest spire in Britain, and the second tallest in Europe (second to Strasbourg which stands at 142m). On the spire tour you don’t go to the very tip of the spire, but you do get to go part way up it! (It is at this point that I realise I don’t have any external photos of the Cathedral, other than those that I took when it snowed). 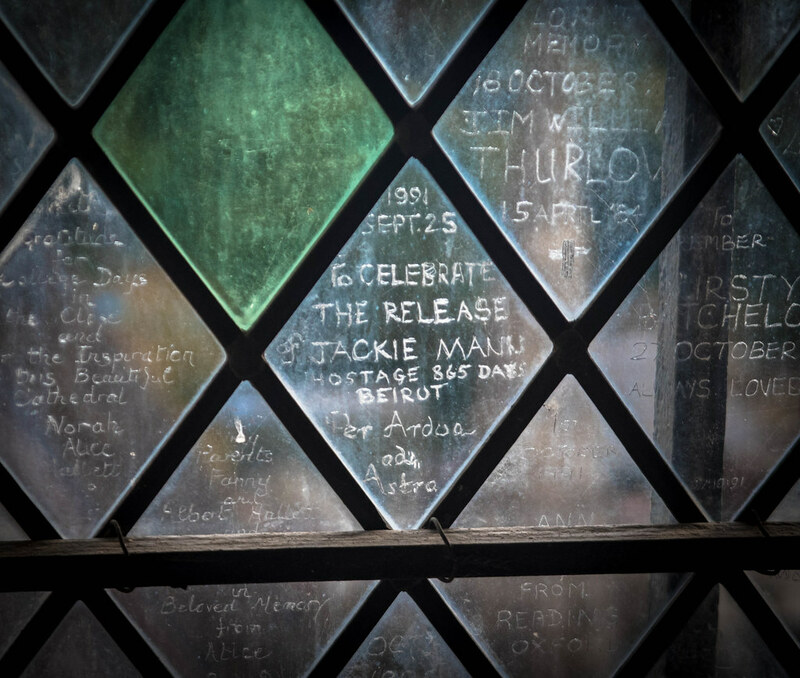 At the start of the spire tour, you learn a bit about the history of the cathedral. It was built after the church/hill fort at Old Sarum began to fall in to disrepair, and is built on a flood plain with foundations of only 1.2m. 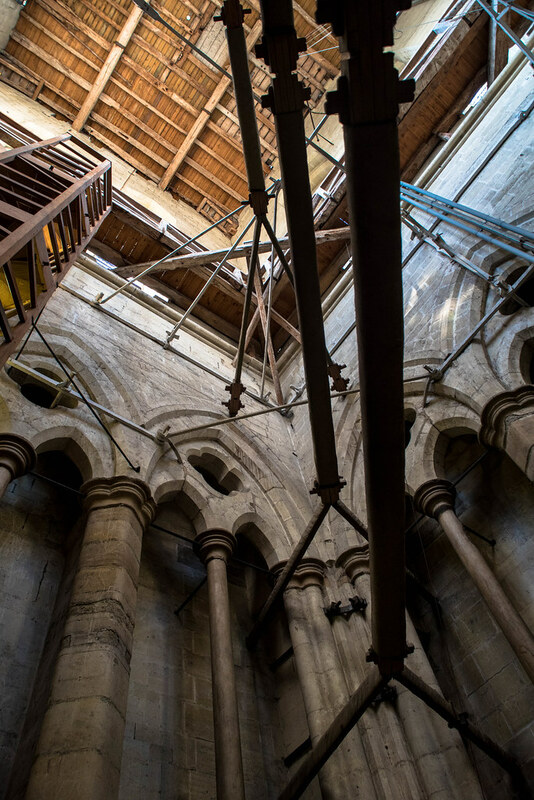 If you do a tour of the cathedral itself, there’s a dipstick going down through the flaw which is drawn to demonstrate just how close the water table is below the cathedral floors. 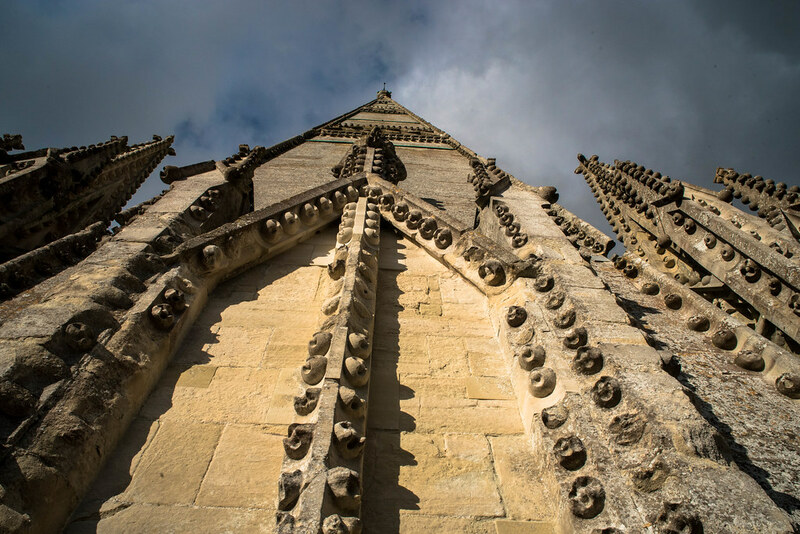 The first stone of the cathedral was laid in 1220, taking until 1258 for the main body to be complete. The spire itself was added at a later date, to make the building visible from far and wide. 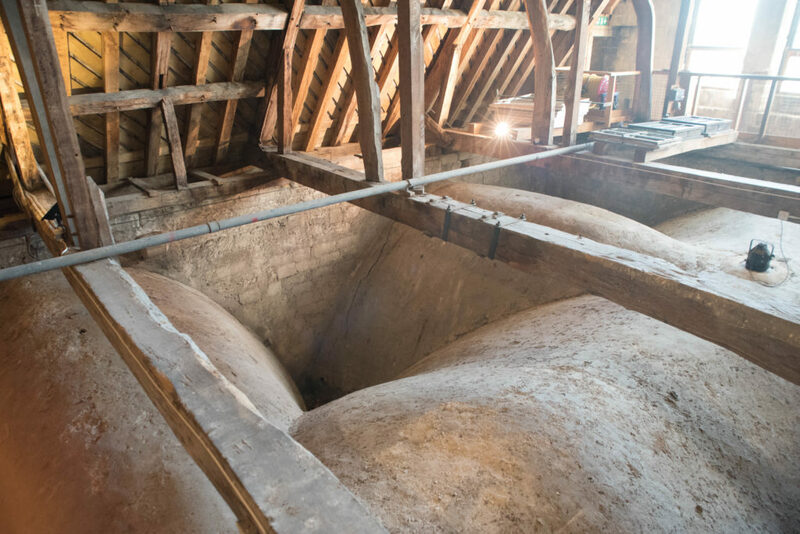 This was add-on was finished in 1320, and caused a lot of issues for the initial building structure due to the massive addition of 6,500 tonnes of stone. History aside, let’s move on! Going up the internals of the cathedral was interesting, as it gave a new point of view to look over the inside from. 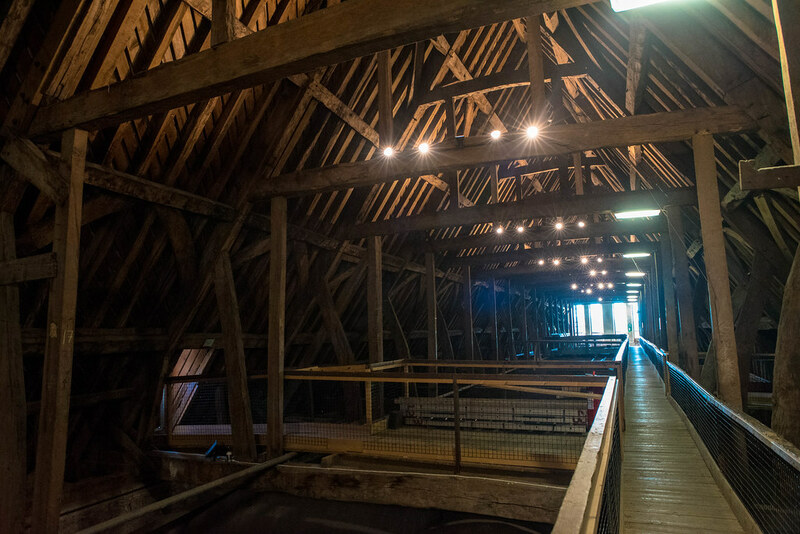 Seeing the area immediately above the roof of the giant hall was also pretty cool. Stone was set over the tops of the arches to provide extra support to the hall roof. In this space you can also see the insides of the external facing walls. The wooden slats supporting the lead roof tiles are slightly spaced out to allow for expansion/contraction of the metal roof based on temperature. From here, we entered the base of the spire. 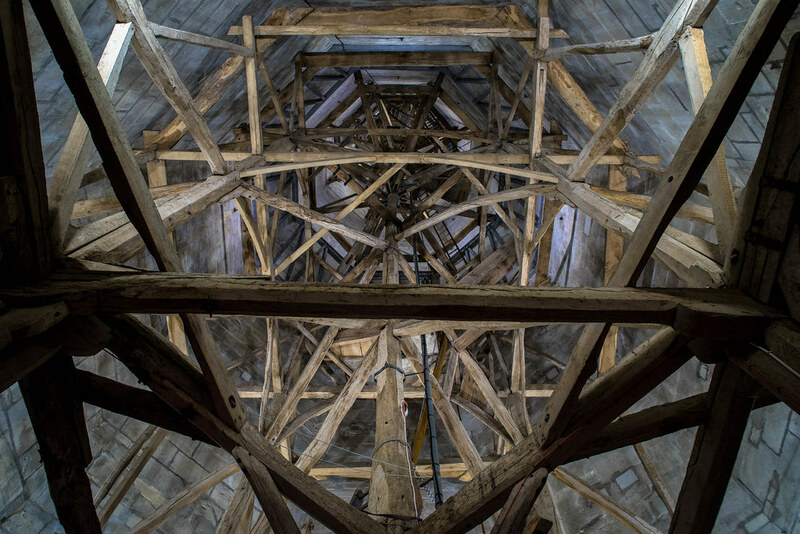 This space was modified by the Victorians to add metal support beams; the tower has gradually shifted over its lifespan, and the tower now leans at several degrees. In 1668 the spire was measured to be leaning by 75cm; I cannot recall the value that it currently leans at, but I imagine it is greater. 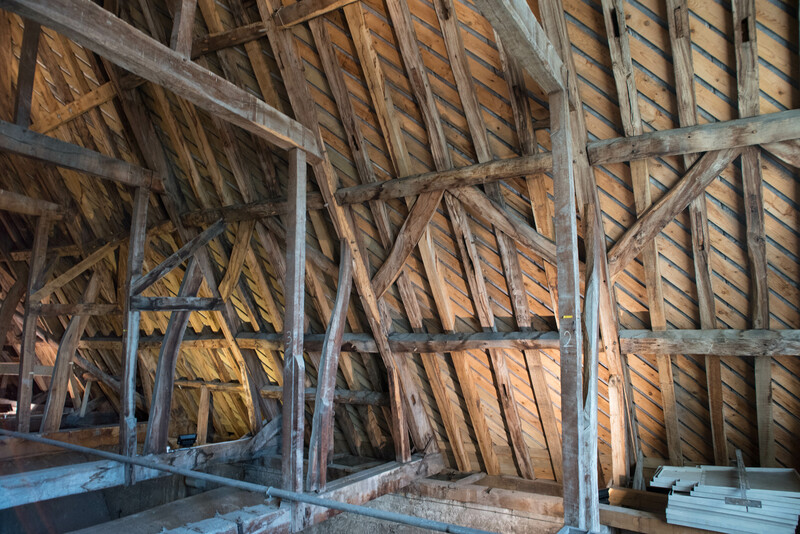 The support beams put in by the Victorians feature expansion joints to counter for the heat swelling/shrinking of the metal. From here we climbed a small narrow staircase to get to the wooden edge platform that can be seen in the above pictures. From here you can see out of the large vertical windows of the spire. These are made of many smaller tiles. To raise fund in the ’90s, you used to be able to sponsor a tile for £5, being allowed to scratch a message of your choice in to it. From here we went up again to the next wooden level. 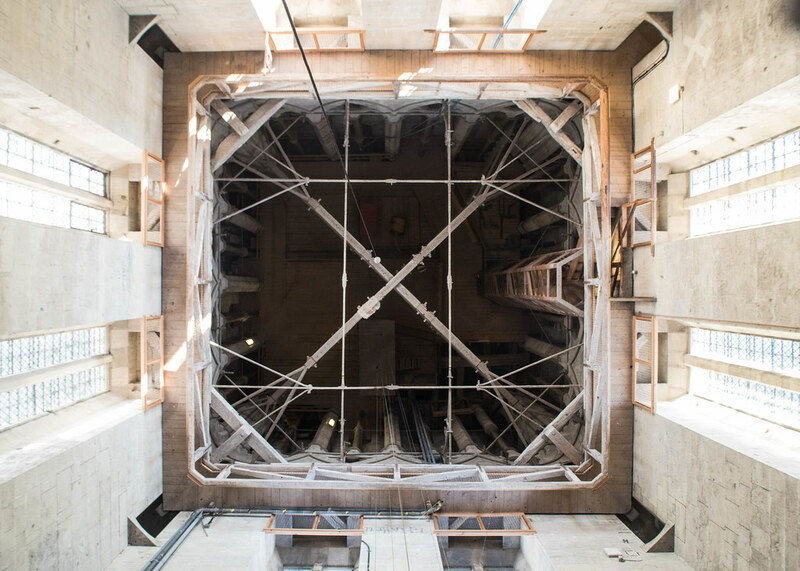 This level contains the cathedral’s bell. There is also a small hole in the floor at this level which you can poke a camera down. Our tour guide said that tourism boards often use photos taken from this point of view in “guess the location” contests. Another set of narrow stairs upwards, and we were finally at the base of the tower proper. 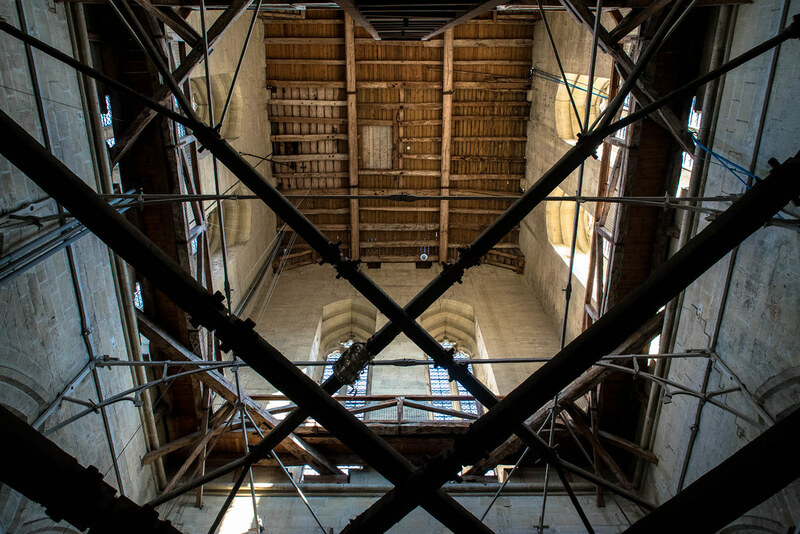 Although we were not allowed to go up the tower proper, it was still interesting to see its internal supports. 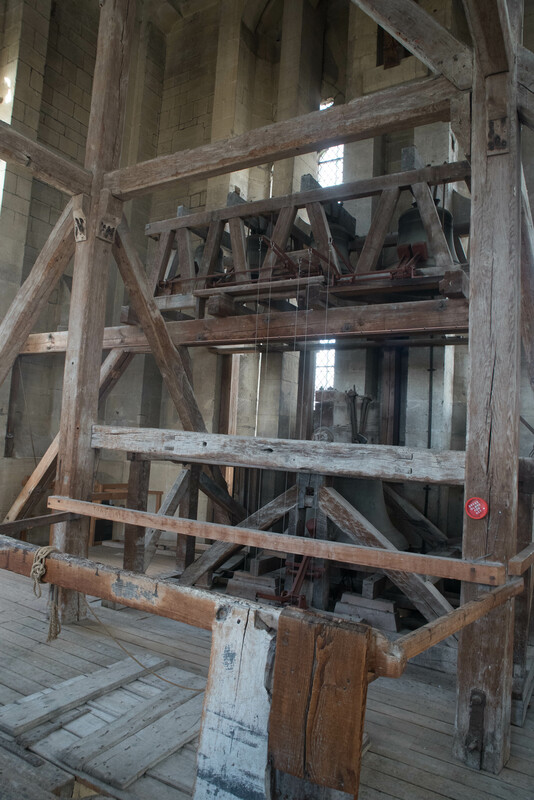 Interestingly, the tower still contains remnants of its construction tools. 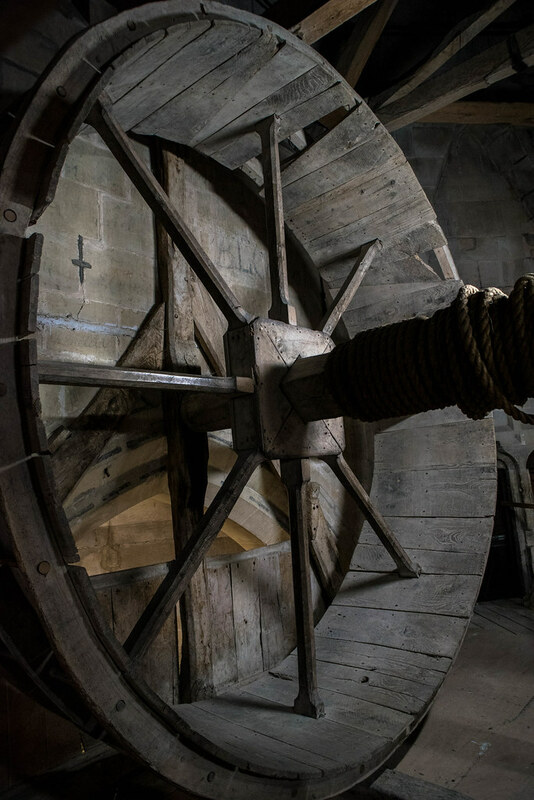 As several tonnes of stone was needed at this height, a giant wheel was used to winch it up (alongside other supplies). This wheel remains today. From this level, we were able to access external balconies. Thankfully, the weather held up while we were outside! From this vantage point you couldn’t really see the spire very well. 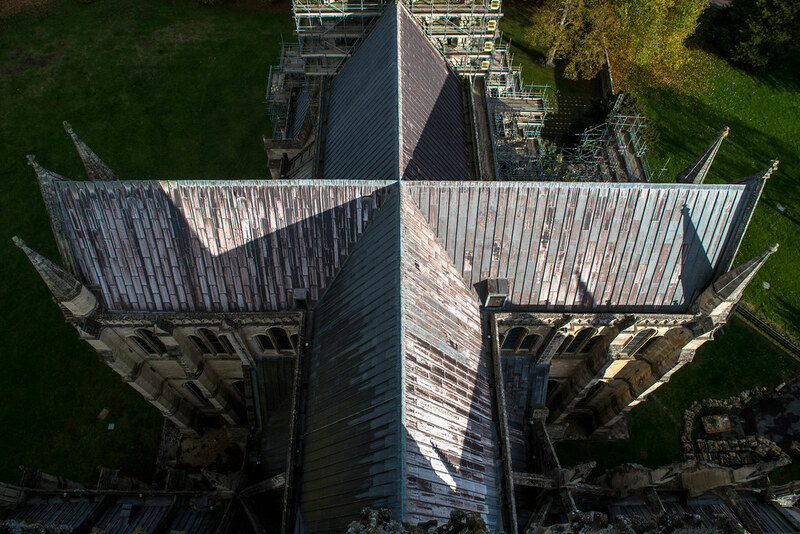 But it was still cool to be able to look down on other areas of the cathedral! We were able to access the balconies on 3 sides of the tower. The 4th side is shut off as it is where peregrines nest. The guide told us that unfortunately there had been no peregrine chicks this year, as the male of the breeding pair had not returned. The female still appeared to be in the area however, as there was the picked clean remains of a pigeon on one of the balconies. All in all, the tour took about 2 hours. This was because of frequent breaks to learn more about the tower, as well as to catch our breath between flights of stairs. 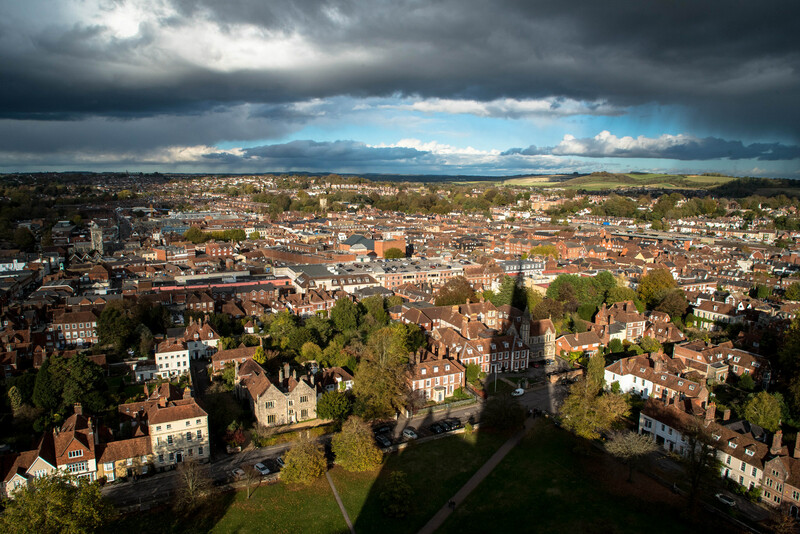 I would say that it is worth doing because of the impressive views over Salisbury, as well as to learn more about the history of the area. very cool! 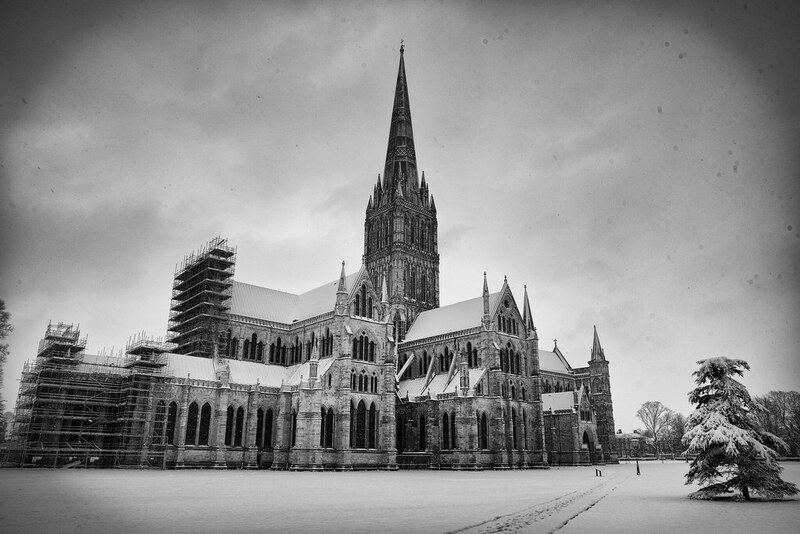 I am reading Edward Rutherford’s novel “Sarum” and the building of the cathedral and of the spire feature prominently. Your pictures gave the story more life .